Thanks to our awesome partners for their support of our 2017 Back2School Campaign! Get involved by participating in any one of the many partner programs below! NBC and Telemundo stations in New York City and Chicago and Comcast NBCUniversal regional offices are hosting school supply drives and partnering with Clubs to ensure that kids receive the supplies they need to start the school year off right. Aug. 8 to Sept. 5, Lowe’s invites customers to help build great futures by making a checkout donation to Boys & Girls Clubs at any of its 1,700+ U.S. stores. Three 2017 Toyota Sienna Minivans are traveling the country this summer collecting school supplies for Boys & Girls Clubs, part of BGCA Back2School Stuff the Bus – Powered by Toyota. The vans will be donated to three lucky and deserving Boys & Girls Clubs at summer’s end. 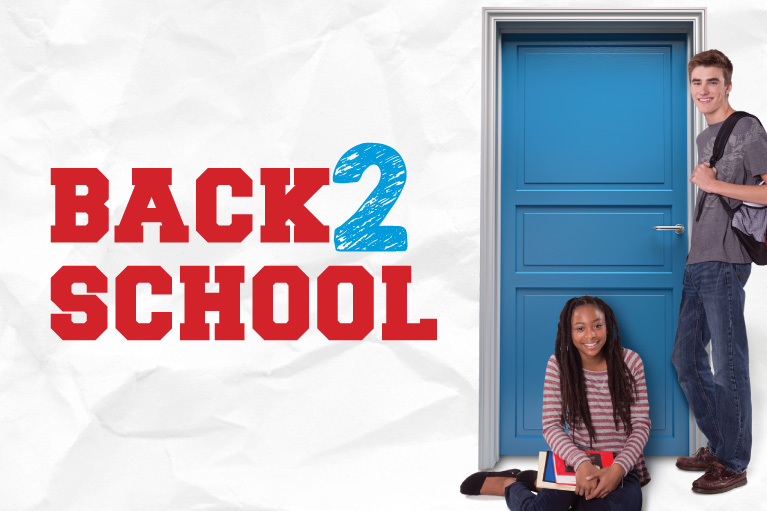 Donate a backpack, school supplies or cash gift to Boys & Girls Clubs at a Gap or Gap Factory Store from July 17 to Aug. 27 and receive 10% savings on top of any other offers! Activation dates vary per market. Check your local store for details. Donate $1, $3 or $5 to Boys & Girls Clubs of America at any Old Navy store or OldNavy.com from July 27 to Aug. 7 to support big dreams and bigger opportunities for the next generation. From Aug. 10 to Oct. 8, customers can round up their purchase to the nearest dollar at any Firestone Complete Auto Care, Tires Plus, Hibdon Tires Plus, and Wheel Works tire and automotive service centers to benefit Boys & Girls Clubs of America. Throughout October, Buffalo Wild Wings will donate $1 from every pinup sold, and 100% of proceeds for each limited-edition wristband purchased in-restaurant, to Boys & Girls Clubs of America. In addition, $1 from every in-restaurant signature sauce or seasoning bottle sold will support BGCA’s ALL STARS sports program. Build-A-Bear Workshop guests can support Clubs by adding a donation to their in-store or online purchase through Sept. 5. Build-A-Bear will also donate 20,000 furry friends to Clubs to celebrate its 20th anniversary and National Teddy Bear Day. Customers can visit FamilyDollar.com during back-to-school season and make a donation to Boys & Girls Clubs of America. On July 11, Family Dollar will share its Back2School anthem on Facebook as performed by Lyricism 101 Club members! Select Cedar Fair parks are supporting back-to-school season by engaging park guests during the summer and partnering with local Clubs throughout the school year. Visit your local Friendly's location on Sunday, July 16 (National Ice Cream Day) and purchase a Friend-z, and $2 from each purchase will benefit Boys & Girls Clubs of America. Kids Foot Locker is Going Big for Great Futures as it hosts an in-store and online donation program nationwide where customers can donate $1, $3 or $5 at check-out to benefit Boys & Girls Clubs of America from Aug. 1 to Sept. 5.